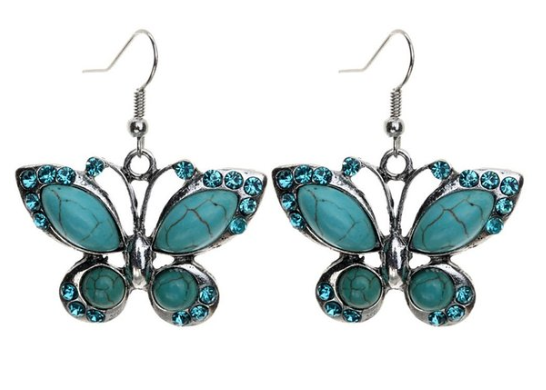 Tibetan Silver & Turquoise Butterfly Earrings Only $2.69 + FREE Shipping! You are here: Home / Great Deals / Amazon Deals / Tibetan Silver & Turquoise Butterfly Earrings Only $2.69 + FREE Shipping! How gorgeous are these earrings?! Grab these beautiful Tibetan Silver & Turquoise Butterfly Earrings for just $2.69 + FREE shipping!